If “democracy in action (where the audience asks the questions)”, as Australia’s ABC TV program QandA describes itself, includes the right of the TV program’s host (Tony Jones) to insult a community (Croatian) by uttering untruths, evidently fabricating facts that have no resemblance to the truth, seemingly in order to make his guest (Queensland Senator Pauline Hanson – an anti-Muslim immigration politician elected into the Australian Senate a couple of weeks ago) appear uninformed about terrorism in Australia, then Australia and any other democratic country where this occurs as a matter of public record should examine whether the public’s tax purse should finance such abominable public presentations. 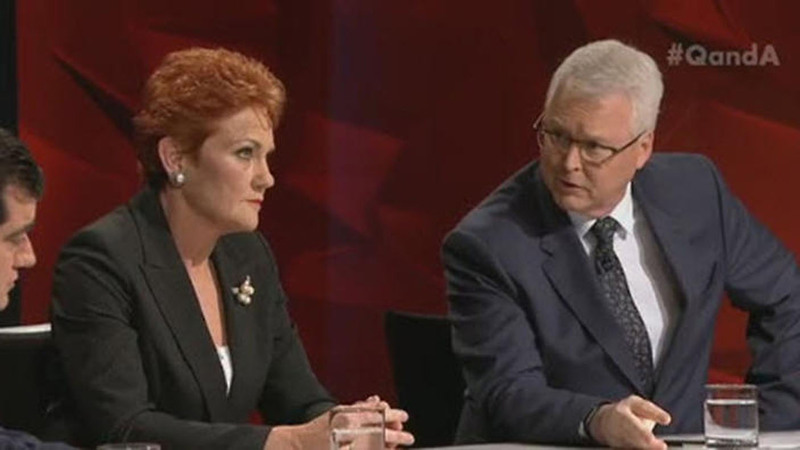 On Monday 18 July 2016 Labor Senator Sam Dastyari and Queensland’s One Nation party Senator and leader Pauline Hanson, ¬seated side-by-side on the ABC TV’s QandA, argued hard over Muslim immigration and the radicalisation of young Australians. Senator Dastyari was quick to hit back that Senator Hanson was “not an amateur … you know ¬exactly what you’re doing and the language you use and the power of your language,” he said. Q&A host Tony Jones interjected Queensland senator Pauline Hanson when she suggested that Australia had never before had terrorism on its soil, as it has in recent years associated with Islam. “Pauline, when you say we never had terrorism in this country before that’s simply not the case,” Jones said. Watching and listening to this – I turned numb all over; I could not believe my ears! What a disgraceful way to act against a community. Why would Tony Jones say that Croats had committed multiple bombings in Australia during 1970’s when the truth is Croats never to my knowledge and research committed any bombings in Australia! In my research of many court judgments I have not come across a single Croat who has ever been convicted of any bombing on Australian soil! As part of the Yugoslav communist secret police underground work during those years against Croats in Australia, Croats may have been suspected of bombings, framed for them, but none were ever charged or convicted. Jones seemed to be referring to attacks on Yugoslav consulates in several cities in Australia in the 1970s that were attributed to Croatian nationalists, but no one was ever charged. Yugoslav commercial operations were also targeted, including the office of the national Yugoslav airline in Australia. By the end of 1970’s, Australian authorities did emerge, though, with what some claim on grounds of investigation, was a set-up and a frame-up for attempted terror attack planned by members of the Croatian community, known as the Croatian Six case. Six members of Australia’s Croatian community were prosecuted and imprisoned for 15 years for planning to plant bombs in Sydney in 1979. However, there were no charges of actual bombings nor were there any bombings related to these charges. So, why Tony Jones would say there were multiple bombings when there were none is actually most concerning. That he simply forgot the details of the cases is really no excuse for such a profound insult he has directed at the Australian Croatian community or its members. “Ian Cunliffe was the head of the legal section in the Department of Prime Minister and Cabinet at the time of the arrests. ‘I fielded a letter that was written to the prime minister (Malcolm Fraser) by someone who had been ostensibly involved in that conspiracy at that time in prison and I investigated what went on, and it seemed it me that in fact that – while six people had been convicted – it was an extremely dodgy conviction and it seemed to me that it was basically a set up by the Yugoslav intelligence service to blacken the name of the Croatian community in Australia,’ he told SBS News. Mr Cunliffe said the Yugoslav intelligence service had an agent provocateur who ‘presented as a simple Croatian’ but was instead a bomb-making expert. He added that the police were also involved in this plot – including recently convicted murderer and former NSW police officer Roger Rogerson. ‘It was an extremely dodgy conviction – there’s no doubt about that,’ Mr Cunliffe said. He said Australia needs to correct the historical inaccuracies of the case. ‘It could be corrected by a pardon, it could be corrected by a proper judicial inquiry which looked at all of the evidence,’ Mr Cunliffe said. Here we are 20+ years after the homeland war which was won through the terrible suffering and sacrifice of Croatia blood and tears, and we still have no justice for the Croatian cause and people. We still can’t forge a foreign and national policy that protects Croatians / Croatia and defends her interests. Whether rectifying past injustice, lies and slander, or current humiliations, or building a future prosperous Croatia, we still wander aimlessly lost in our internal strife and stupidity. We won the war but are suffering terrible defeats in ‘peace’; or maybe the war just changed fronts and we are too naive to realize it. Probably the latter, Sunman, although I wouldn’t use naivety as blanket excuse for strife and stupidity, the communist undercurrents are also to blame. From Facebook – Tony Jones labeling Croatians as Terrorists: Tony Jones’ statement in labeling Croatian Catholics as terrorists in the 70’s in his lame attempt in somehow linking Australian Croatians with the recent terrorist events is disgusting, insulting and divisive. The overall theme and rhetoric on ‘q and a’ was one of acceptance, being anti divisive, anti One Nation, and all about and not dividing Australia into an us versus them mentality…yet the host of the show Tony Jones thought it was appropriate and fitting to blatantly insult the Australian Croatian Community. On what facts has Tony Jones derived this inappropriate statement from? Tony Jones would do well to remember that one of the cops involved with the investigation of the Croatian Six, Roger Rogerson, is now a convinced murderer. That to me raises a lot of questions about application of law and justice in that case. It also makes me question whether Australian law enforcement, media & politics, treated the Croatian migrant community of the 60s/70s with fairness and equity. The Croatian community in Australia has every right to be angry and to still question the popular narrative about us that was accepted as truth in the West in the 60s/70s. Given what we know about dictatorships around the world and their ideas about what constitutes as fact; it would be absurd for any critically thinking person not to question the Tito-approved version of history. If we can question the propaganda of Hitler, Stalin, Mao, Pol Pot, the Kim family, etc; it only stands to reason that the West seriously needs to re-examine their ideas about Tito and his political dealings. There is no excuse for Jones’ insulting, divisive, ignorant statement. If a “respected” journalist cannot stop and question things for a moment (or do more in-depth research) what hope is there for an easily misled audience that eats up anything it is told as truth by “our” ABC? If the ABC cannot get itself together and resorts to vilifying entire communities (who helped build up this nation) it deserves to be completely defunded. 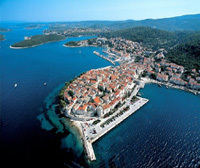 Croatian-Australian tax payer money could go towards more worthy causes. Sadly, I don’t expect the morally apathetic, leftist lunatics of the ABC to admit they were wrong and take responsibility. So much for your “we’re against ethnic divisions” narrative, ABC. Well put, Kat. Thank you. Well said Ina. Lets hope an apology to the Australian Croatian community is forthcoming. Waiting for coming Monday night with great curiosity, Charlie. 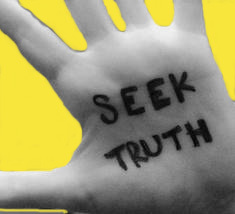 People ought tobe held accountable for claims they make by being forced to produce evidence of their claims through direct or indirect sources and be put on the spotlight immediately if they fail to do so. I read with keen interest. I enjoy your style and the flow of your presentation. Sometimes interviewers make statements without being sure, not knowing there are critical and meticulous viewers or listeners. This post should help Jones to be more careful about what he says. Seems like that is TV hosts biggest joy anymore is to see how critical or insulting they can be of others, than reporting news. They really do prove Trump to be right. So now Australian Croatians and Muslims are lumped together for Anti-immigration agenda in that country. Ugh, not much to say about that nation after having worked with several Australians full of superiority complex and the usual white race’s mentality, in-fact I had a Australian co journalist who always wanted to write on negative things about Muslims or Muslim women in my newsroom and never wanted to do any story showing anything constructive. But that;s what most western journalist do in so called third countries, they come with their agenda and just write what they already decided to write based on their own stereotypes as opposed to realities. What I remember , and this is going back many years , the “Croatian six” were falsely accused and much later released from prison for allegedly threatening to poison Waragamba dam water supply . The men were released after Aussie journalists (maybe ABC Carlton ? not sure) went to Montenegro and interviewed the UDBA agent who lived in Oz at the time of this hoax . On television , the interviewer asked him about the alleged threats . The UDBA man said clearly that “it was a joke”. These men suffered in prison , for over a decade , for no reason at all . The hidden hand always pulling the strings . Pauline Hansons first name is … DELETED.